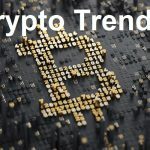 In this post we collected all recent ideas published on Tradingview to shere our current view on cryptocurrency market, especially regarding minable coins. Not so far we experienced, what seemed a trend inversion in $btcusd. So if it really happened we are in a new #cryptowave. Below our view on Bitcoin, which is the driver for all cryptocurrency markets. If the new 🐂 wave is not started we can go deeper at 5.000 range in search of volumes. First sell targets are from around 600 and 700 usd. The only question is when we get there. New miners for equihash algorithm have arrived (Z9 mini) and other are coming in september (Z9). So if Bitmain wanna boost a bit it’s sales before the 35 Billions IPO (at Hong Kong exchange), can expect further pump of Zcash. Another coin to monitor is Monero. It’s the first ASIC resistant mineable coin after Ethereum. Now it seems quite week and poorly influenced by the recent “trend inversion”, but it can be also very volatile. gen-blocks.com is very interesting for me, bookmarked!